I am exhausted. The teachers at my school all feel the same way. We pass each other in the hallway with a slight nod and a reference to the remaining time until our summer release. 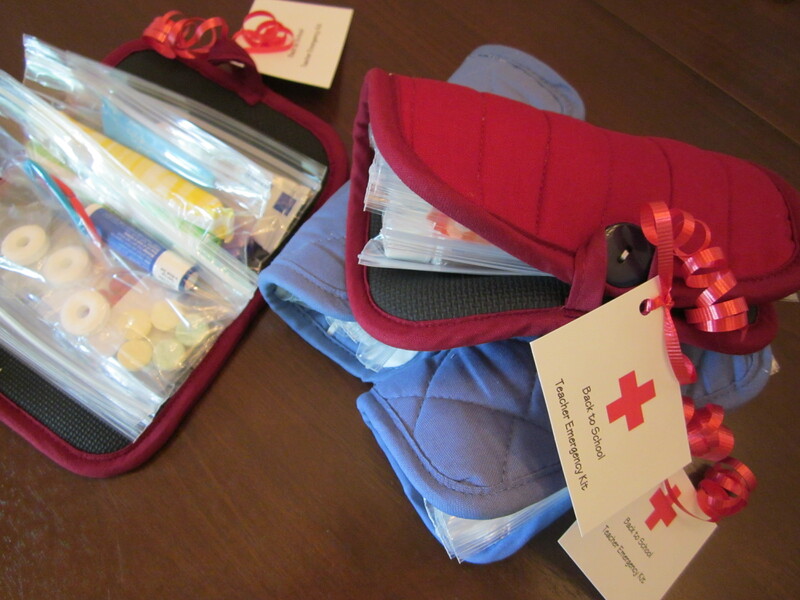 I am not sure why this year I feel more tired than usual, but since it seems to be a common theme, I put together small “restful” gifts for Teacher Appreciation Week. I found directions at MarthaStewart.com for sachets filled with lavender. Apparently, if you place lavender under your pillow while you sleep, it will bring sweet dreams. Sign me up! The parents’ group at our school organizes daily events for teachers during Teacher Appreciation Week, but I usually like to send an extra thank you to all of the teachers who work with my two children. Since I work at the school my children attend, I know teachers put in additional time with my kids who arrive early and leave late every day. 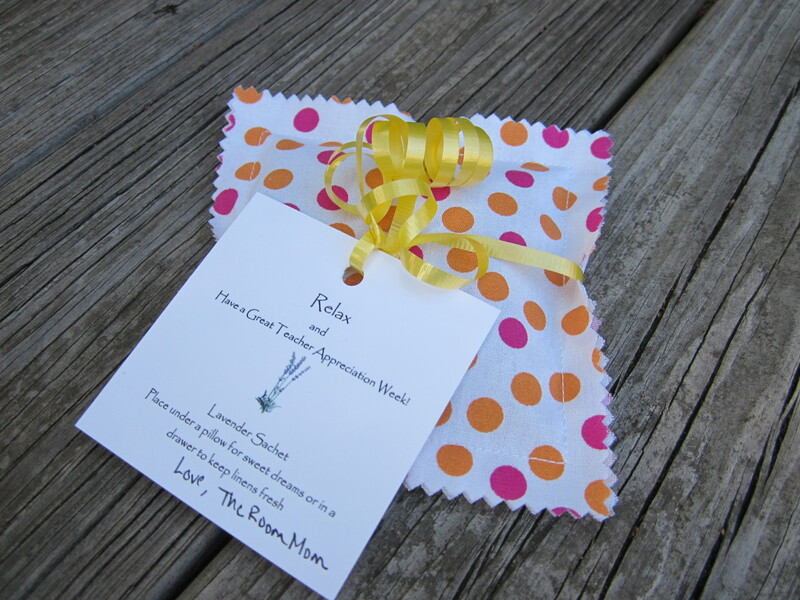 The lavender sachets are meant to be a fancy version of a card. Just a small sirsee to say that we appreciate our teachers. Sew two fabric squares together with a 1/2″ seam allowance, right sides out. Leave a 1 1/2″ opening. 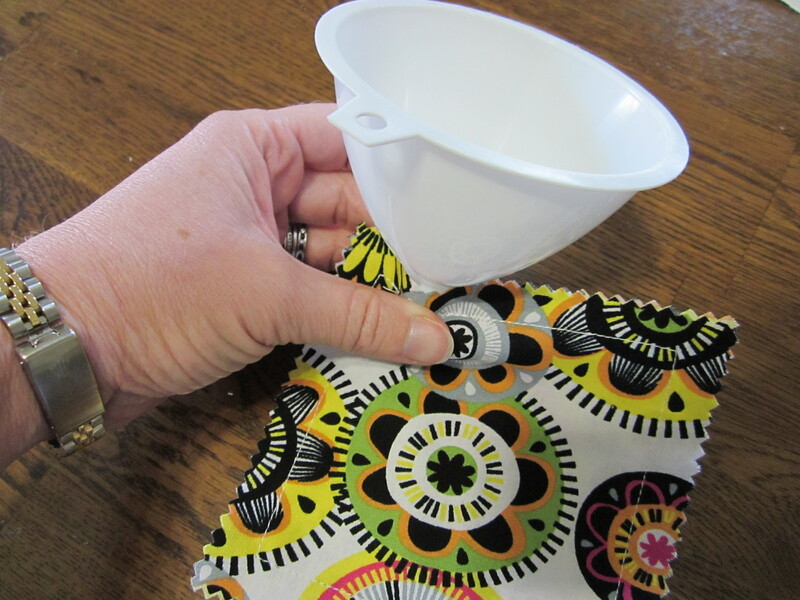 Poke the funnel into the opening and fill with lavender. I filled with about 1/4 c. of lavender. 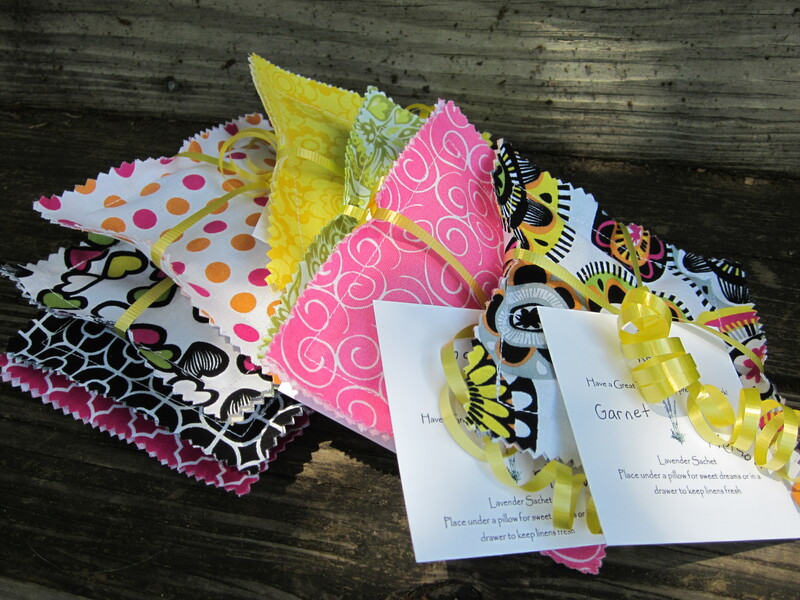 Print and cut the Sachet Gift Tag labels on white cardstock, add a signature and short note to the tag, and tie to the sachet with coordinating ribbon. 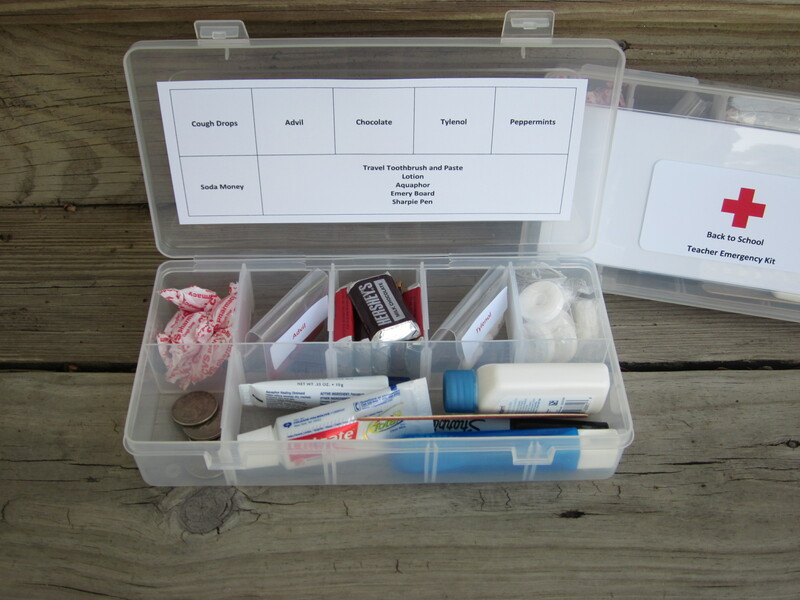 For more Teacher Appreciation Week Ideas, visit my Teacher Gifts link in the side bar. I spend way too much time analyzing what makes a good teacher gift, but I see it on both sides since I am a teacher and a parent with school aged children. 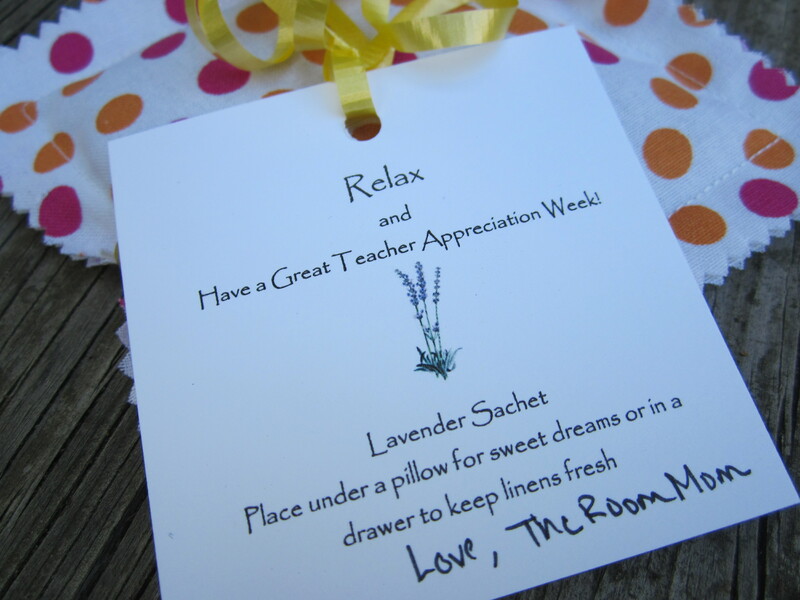 Are teacher appreciation gifts required? NO. Do many families choose to give their teachers holiday gifts, teacher appreciation gifts, and end of year gifts? YES. Are you required to spend a lot of money? NO. Are teachers thankful for all small gifts and kind gestures from parents and students. YES. But, a cutesy, punny note does not a good teacher gift make. In my experience, the best gifts for teachers are ones that show consideration for the teacher’s day at school. Remember, teachers have very little free time during the day to run out of the building to grab lunch or pick up some little item at the drug store. We can barely get to the water fountain that is in the school building. 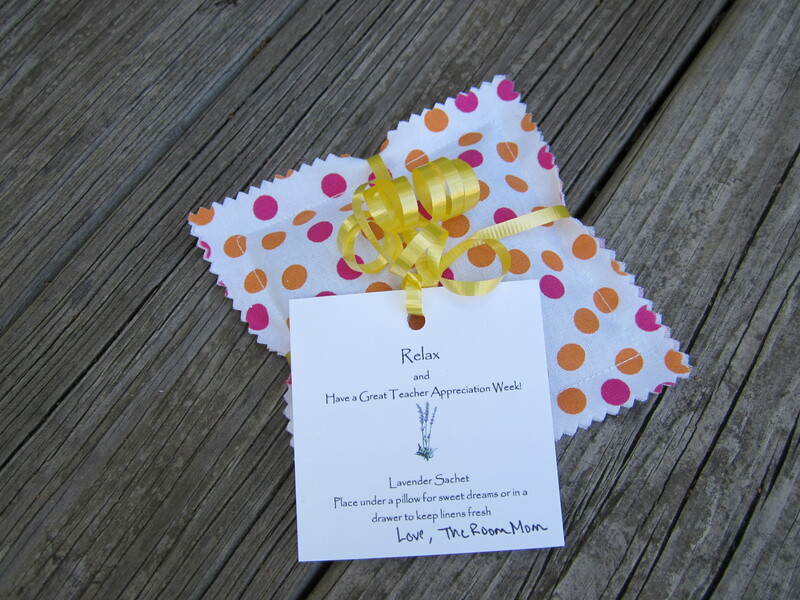 Here are a few guidelines and ideas that I believe make good teacher gifts. Based on the comments I get on my Crappy Teacher Gifts Pinterest Board, not everyone agrees with my good/bad teacher gift criteria. So, as a little disclaimer, these suggestions are TheRoomMom’s opinion and may not apply to every teacher or parent. As a wrap-up, I would just like to say again that families are not obligated to go to great lengths to give teacher gifts. 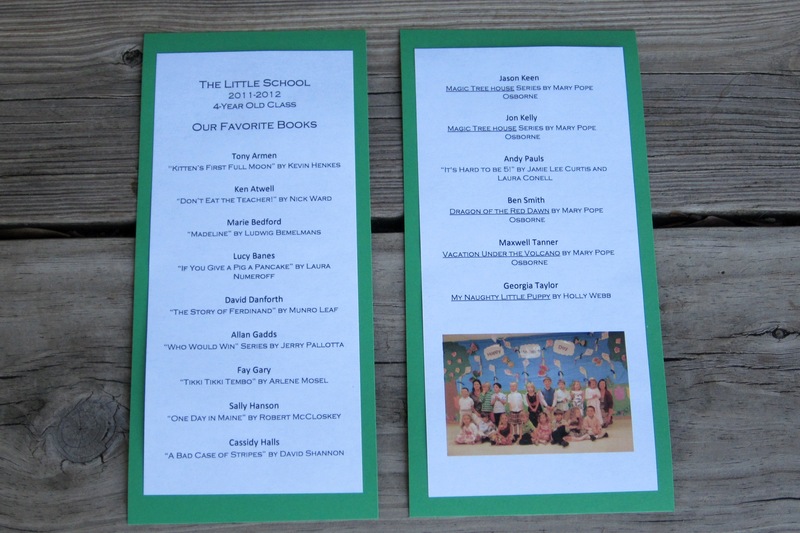 It is always well received to write a note, send an e-mail, or simply say, “thank you” in person if you appreciate the work your child’s teacher has done during the school year. Happy National Teacher Appreciation Week! 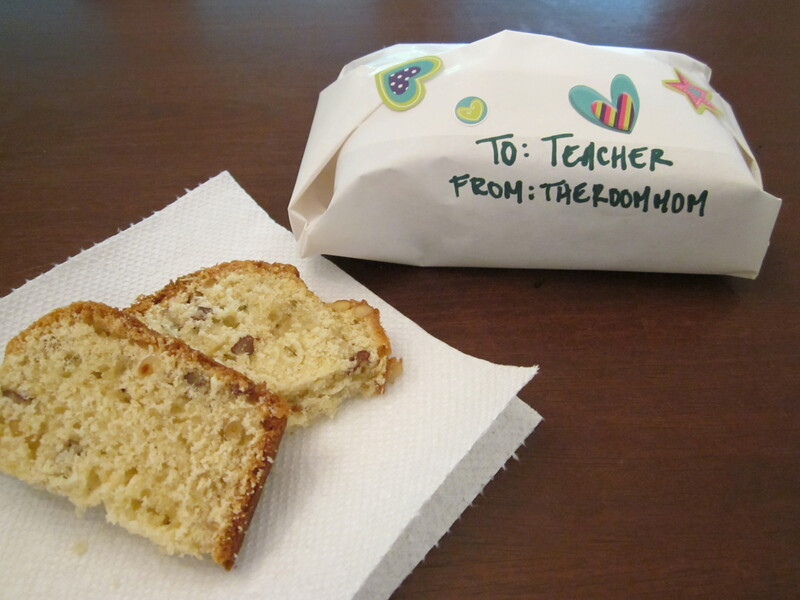 In my last post, I shared a banana bread recipe baked in mini loaf pans that I wrapped up to give as teacher appreciation gifts. 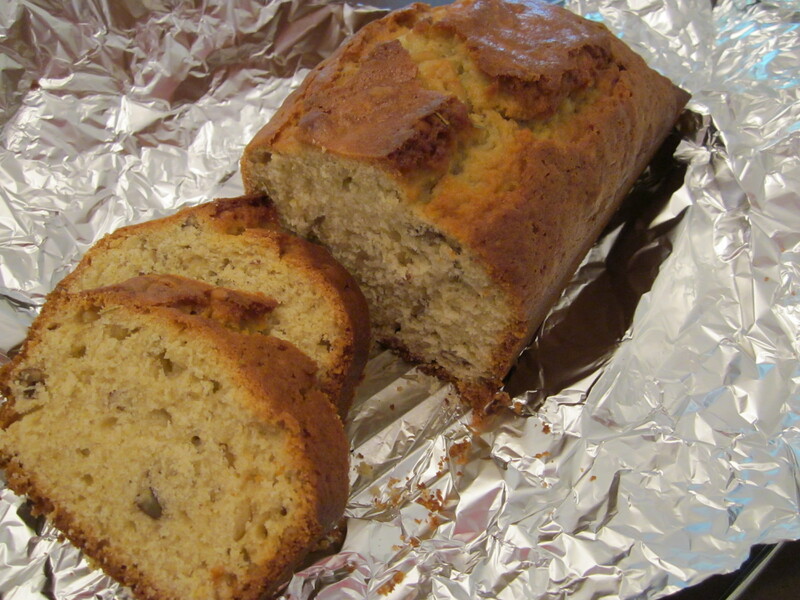 Most people have a family banana bread recipe, so it is not that new and exciting. I was thinking it might be a nice twist to bake a breakfast bread recipe that may not be as widely recognized. I pulled out a recipe I have for Rosemary-Olive Oil Bread because I needed a few more teacher sirsees this week. 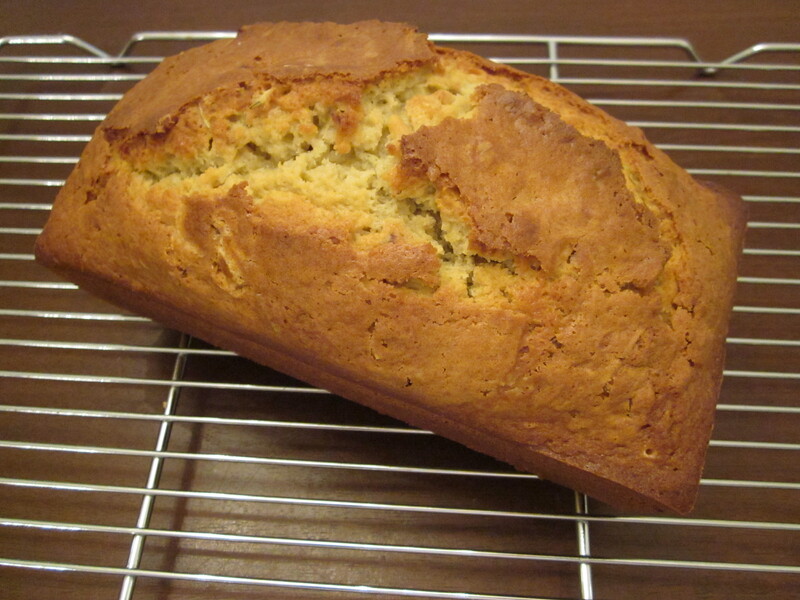 This is a savory bread, and a slice tastes REALLY good toasted. Preheat oven to 350 degrees. 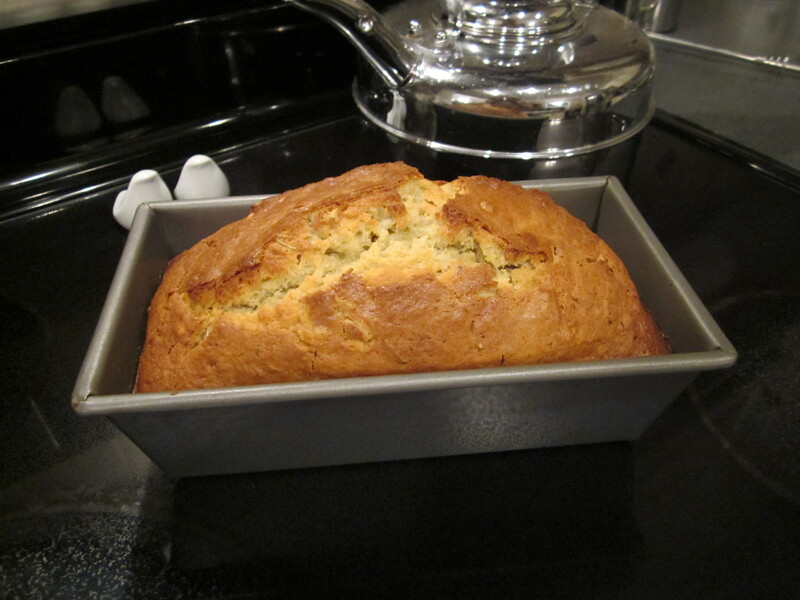 Lightly coat loaf pan with vegetable cooking spray or grease the pan with Crisco. 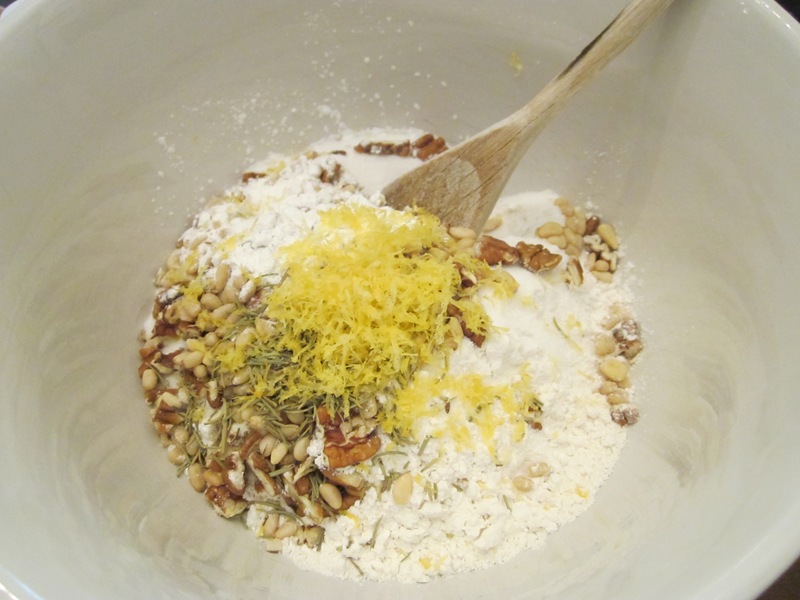 In a bowl, stir together the flour, sugar, pine nuts, baking powder, rosemary, salt, and lemon zest. In another bowl, blend the eggs, apple juice, and olive oil. 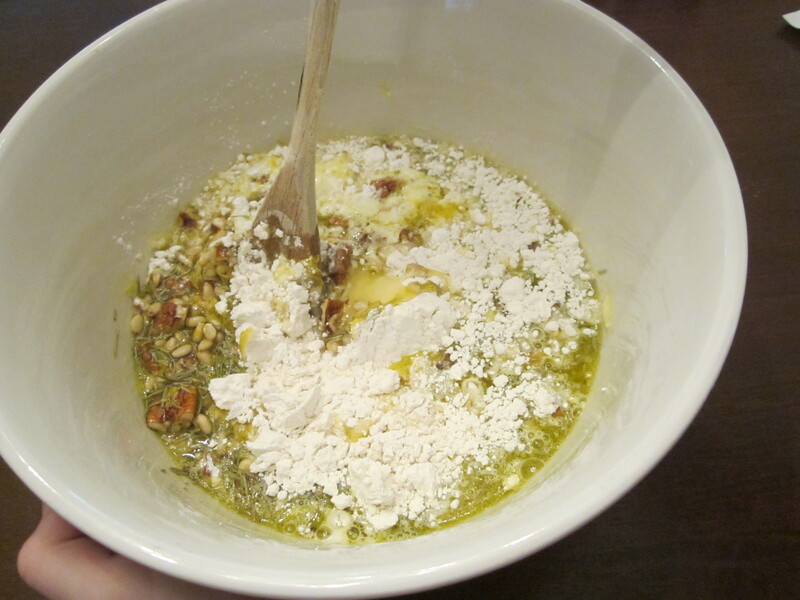 Stir the wet ingredients into the dry ingredients. 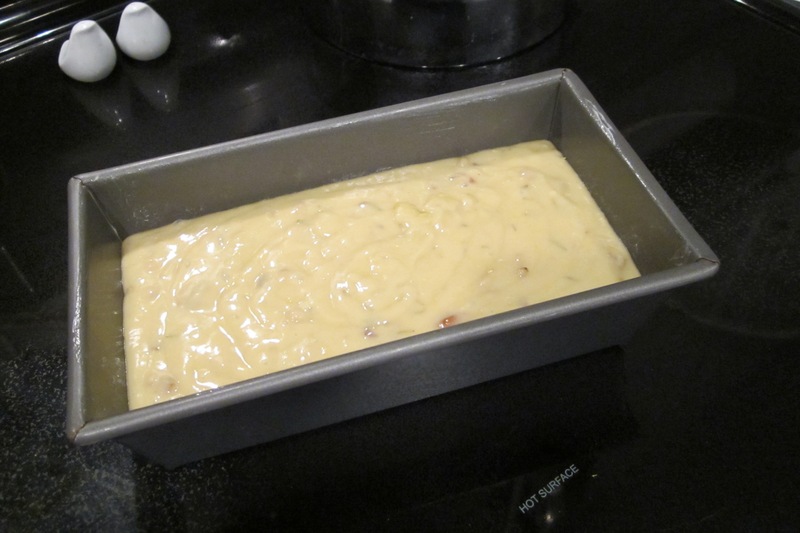 Transfer the batter to the loaf pan and smooth the surface. Bake 55 minutes or until a skewer inserted in the center comes out clean. The pine nuts can be replaced with chopped walnuts or pecans. You can also use a combination of nuts if you only have a 1/4 cup of pine nuts and need to add a few pecans to make 1/2 cup. This combination has been tested and approved. If using mini loaf pans, fill about halfway with batter. I get about 3 mini loaves per recipe. Reduce the cooking time for the mini size. After about 30 minutes, watch until the top is browned, then test the center to determine if the rosemary bread is baked through. Wrap with parchment paper and have kids decorate with stickers to give as gifts. 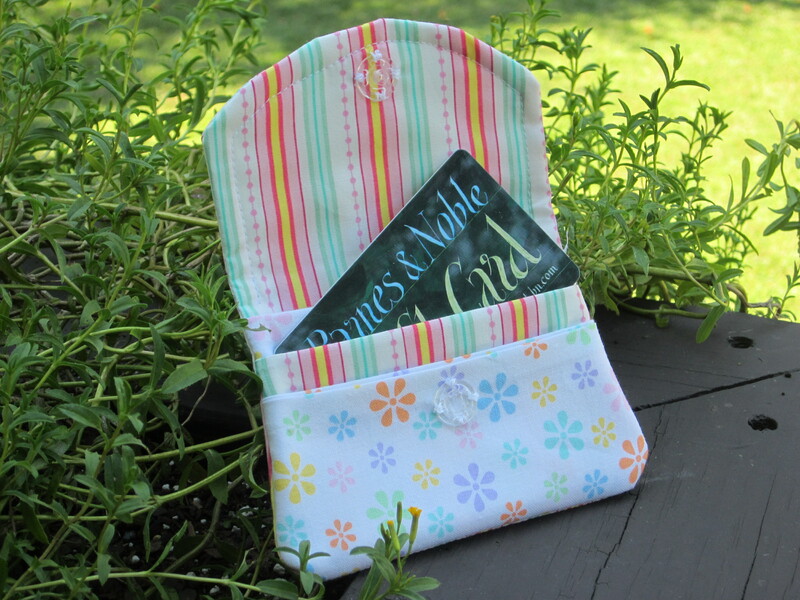 These work well as a teacher appreciation gift, hostess gift, or housewarming present. When organizing a teacher gift, I try to follow a generic but personal policy. 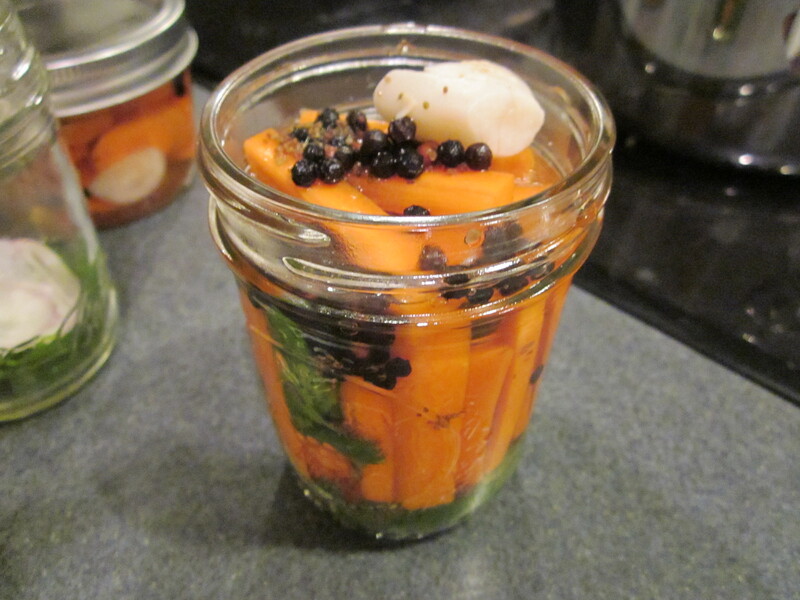 The carrot pickles with cilantro are a little bit of a risk and break this rule. I visited Sewing Sister last weekend, and she served some carrot pickles with grilled hamburgers for dinner. 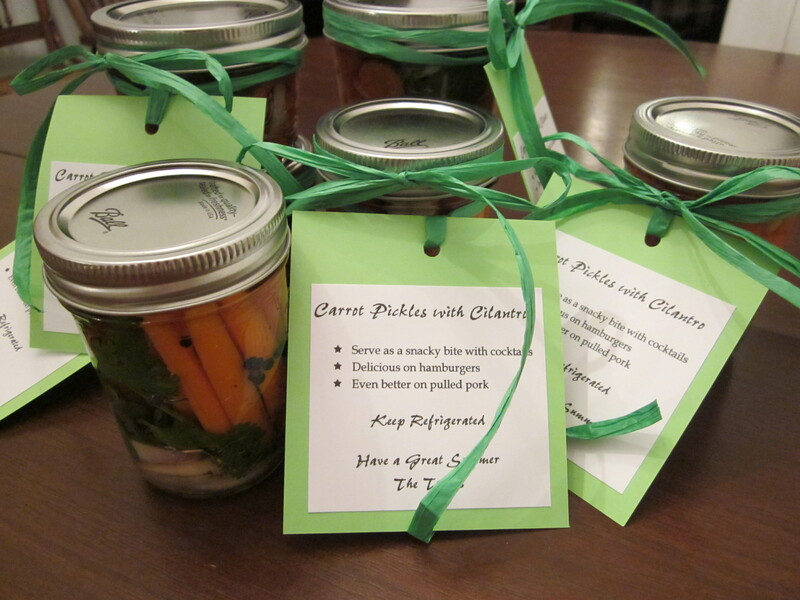 The pickles were surprisingly delicious, easy to make in large batches, and they looked really pretty in the jars. The risky part, however, is that it is a pretty specific food type– not very generic. I teach at the school my son attends and know my son’s teachers fairly well. I was pretty sure everyone would eat them (or at least try them). If you don’t know your child’s teachers at all but want to send a small appreciation gift for the end of the year, I think the Insulated Drinking Cup with gift card or an Ice Cream Sundae Kit works better. If you know your teachers like trying new restaurants or enjoy good food, I would give this gift a try, especially if you need to make a large quantity. I needed about 15 teacher gifts. I will also be bringing an extra jar to a friend’s house this weekend as a hostess gift. Cut the carrots into sticks that match the height of the jars you are using or slice using a bias cut (this is the diagonal, oval shaped cut). 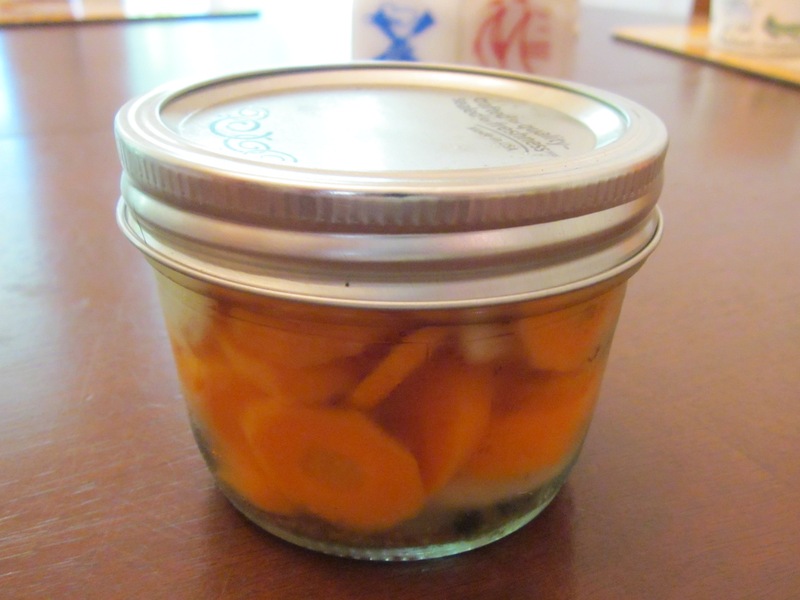 Combine the carrots, shallots, and dill in a glass container with a lid. In saucepan, combine 1 c. water, 1 c. vinegar, garlic, salt, sugar, celery seeds, and peppercorns. Heat until it simmers. 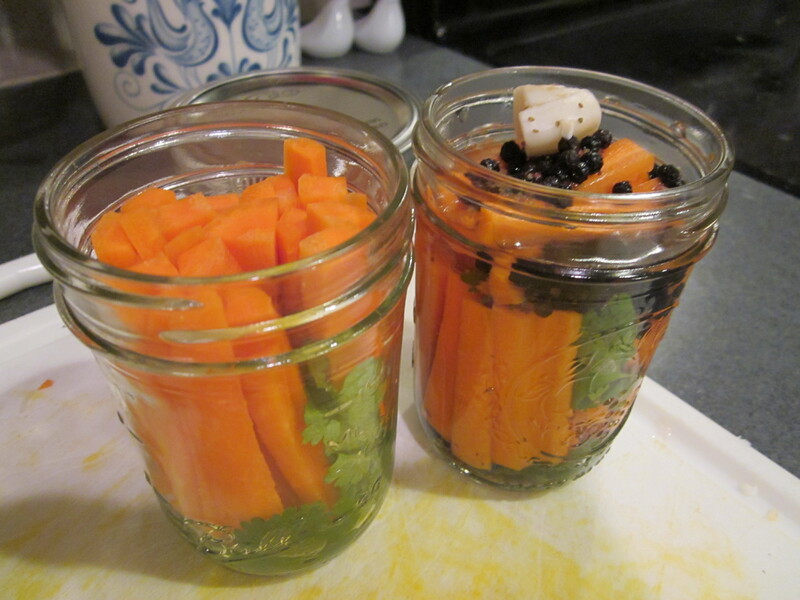 Pour the heated vinegar mixture over the veggies, cover loosely, and let cool to room temperature. Tighten lid when cooled and refrigerate for at least one hour before serving. Can be kept in the refrigerator ~2 weeks. I used a 5-lb bag of carrots, 5 shallots, and 2 bunches of cilantro to fill 17-20 jars. I used a mix of tall and wide mouth half pint jars. I needed 4 batches of the vinegar mixture. I tied a label to each jar with raffia ribbon explaining the contents and wishing the teachers a happy summer from our family. 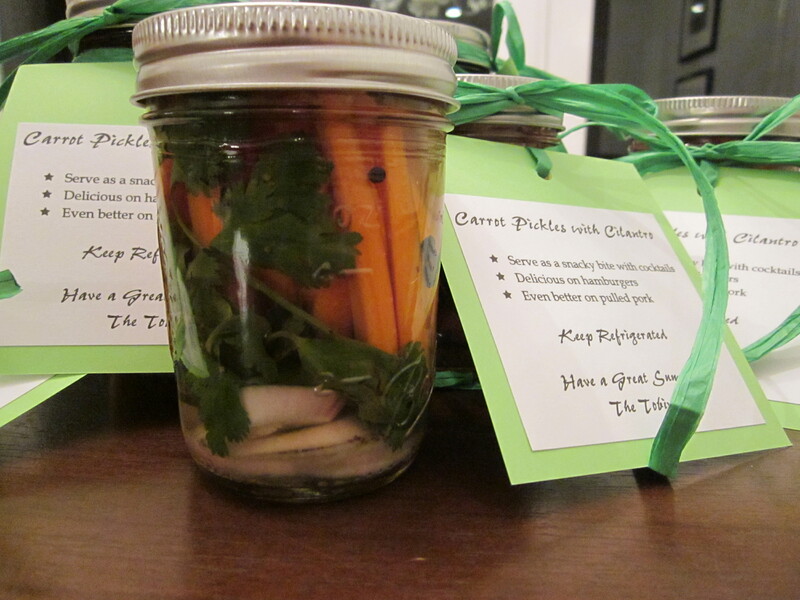 Click here for the Carrot Pickles with Cilantro Labels. The recipe is fairly forgiving, so you can double, triple, etc. pretty easily. The cilantro can be replaced with dill. The original recipe came from Simple Fresh Southern by the Lee Brothers. They have a whole section of pickle recipes. Sewing Sister also recommends the radish pickles and the watermelon pickles. 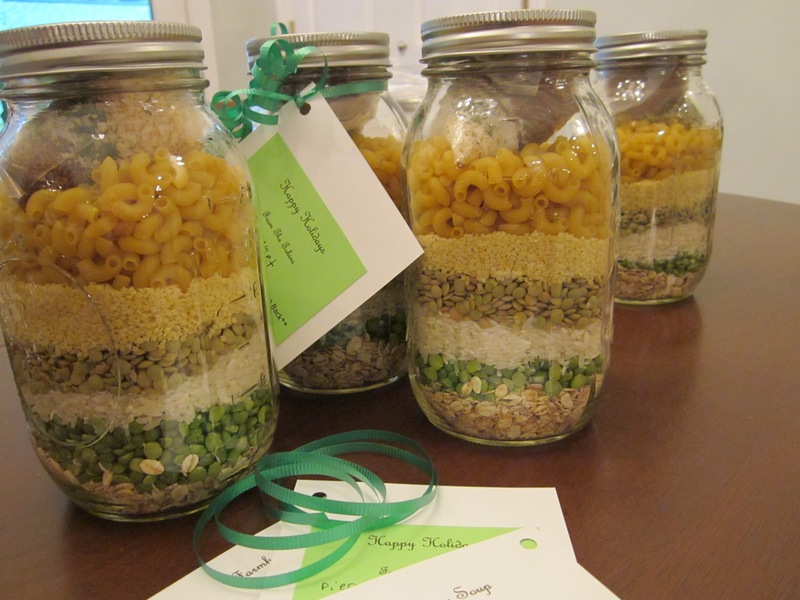 What homemade recipes have you given as teacher or hostess gifts that work well? Do you think this gift is a hit or miss? I will admit that I am giving Miss Priss’ teachers (who I do not know as well) the insulated cup gift!